Microsoft and Blue Line Innovations released “Hohm PowerCost Monitor and WiFi Gateway”. “The device attaches to a household power utility meter. WiFi Gateway device wirelessly transmits energy use data to consumer’s Hohm account to provide personalized energy recommendations. Hohm also offers social networking communities on Facebook and Twitter to help users compare notes and get tips for ways to improve their energy efficiency. Graphs and charts make it easy to identify usage patterns and potential problems,” explains Microsoft. 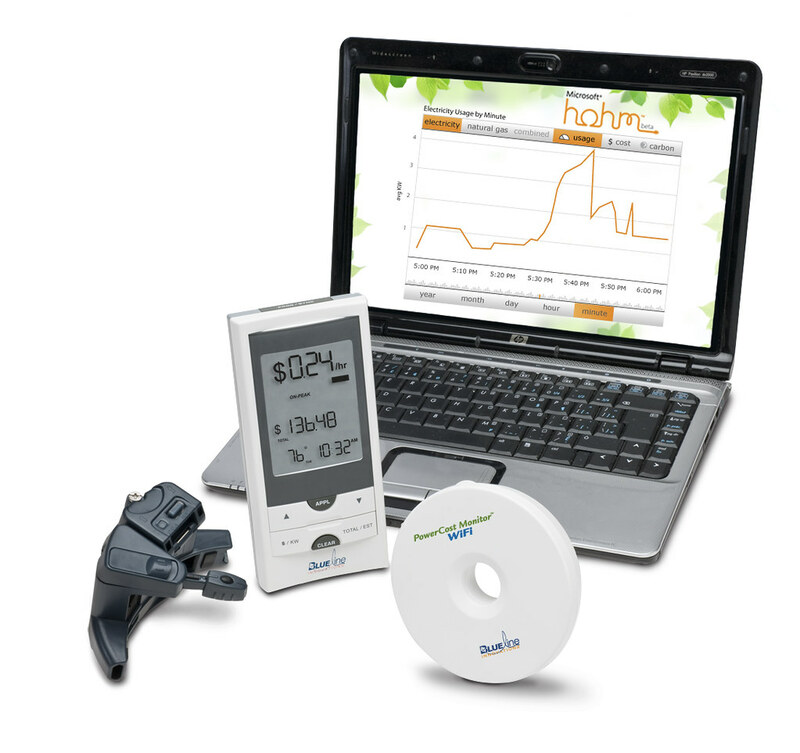 Blue Line PowerCost Monitor and WiFi Gateway are available from Blue Line Innovations and through select retailers. The complete package of PowerCost Monitor and WiFi Gateway is available for $249 (estimated retail price); consumers who already have PowerCost Monitor can purchase WiFi Gateway separately for $159.